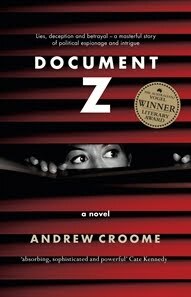 Andrew Croome’s DOCUMENT Z has already been reviewed here and is a combination historical fiction/political thriller based on the real defection of a Russian embassy worker/spy to Australia in 1954. I found it compelling. Alyssa Giordano, a first generation American, never thought being a woman in this day and age would be a disadvantage… until she met her first boss. Her grandmothers, one Irish, the other Italian, fought so hard to be seen by other women as their husbands’ equals. But Alyssa’s grandfathers, and her father, knew who really ran things. Barely a year into her career, the young lawyer couldn’t believe that Duncan Kennedy would accuse her of a double cross and sack her after she’d rebuffed his advances. Nor could she believe that his partner, Lydia Price, refused to support her. 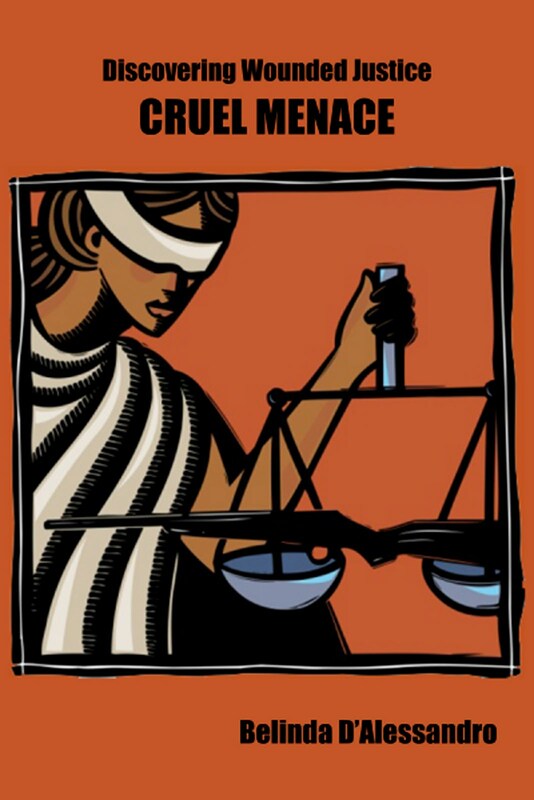 As she leaves behind her first job in the only career which she’d ever wanted, Alyssa, pride wounded, loses faith in the one thing she’d grown up believing in: justice. After struggling to get her career (and her life) back in order, Giordano finally hits the big time and finds that roles are reversed. Kennedy is labeled a swindler and a leading journalist, a woman no less, holds his fate in her hands. But as he vanishes in a cloud of lies and creditors before he can be brought to justice, Giordano’s faith in it, justice, freefalls again. When a brothel madam is shot on a Perth golf course in 1975 it should be a routine murder enquiry. But it isn’t. In fact there’s barely an investigation at all, and Superintendent Swann thinks he knows why. Heroin is the new drug in town and the money is finding its way into some very respectable hands. It’s the brave or the foolish who accuse their fellow cops of corruption, and sometimes not even Swann is sure which he is. Especially when those he’s pointing the finger at have mates in every stronghold of power in the state – big business, organised crime, the government. He might have won the first round by forcing a royal commission, but the judge is an ailing patsy and the outcome seems predetermined. If that’s not enough to contend with, Swann’s teenage daughter has disappeared, he doesn’t know whether she’s alive or not, and the word on the street is he’s a dead man walking. Line of Sight is classic crime noir, a tale of dark corruption set in a city of sun and heat. 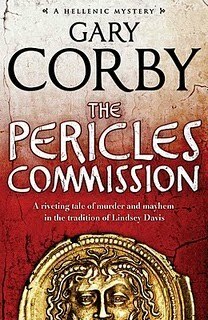 Gary Corby’s THE PERICLES COMMISSION has already been reviewed by Kerrie but I am looking forward to reading this historical fiction work myself. It’s awaiting me on my eReader. I had been hearing about the book for a while but though it was available elsewhere last year it only became available here in Australia this year (due to the annoying vagaries of territorial copyright restrictions). When Suzanne Crawford is found stabbed to death and her husband Connor is discovered to be missing, it looks like just another tragic case of domestic violence to Detective Ella Marconi. But as the investigation progresses, it becomes clear that all is not as it seems. Why is there no record of Connor Crawford beyond a few years ago? Why has a teenager who worked for the pair gone missing too? Is trainee paramedic Aidan Simpson telling the truth about his involvement?And above all, what was the secret Suzanne knew Connor was keeping at all costs – even from her? As Ella begins to build a picture of the Crawfords’ fractured lives, things around her are deteriorating. Her relationship with a fellow officer is hanging by a thread and her parents seem to be keeping secrets of their own. But Ella only has time for the job she loves, and she knows she has to see her way through the tangled web of deceit and lies to get at the truth – before it’s too late. 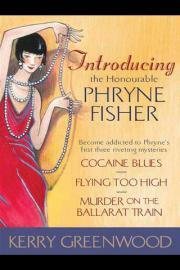 Kerry Greenwood’s first three Phryne Fisher novels were on special at Borders’ eBook store (in a collection entitled INTRODUCING PHRYNE FISHER) so I couldn’t resist and now have COCAINE BLUES. FLYING TOO HIGH and MURDER ON A BALLARAT TRAIN also awaiting me on the eReader. The books are set in 1920’s Australia and I’ve only read one before so I shall look forward to these (I like Kerry’s modern-day series of amateur sleuth books very much). After yet another slow week at the cash register, that fine purveyor of second-hand literature, Susko Books, is facing financial ruin. Jack Susko sets off to a gallery in Woollahra to scrape up some coin with the sale of an old art catalogue. With his usual panache and exquisite timing, he arrives just as De Groot Galleries is being done over by masked thieves. Along with a mysterious object from the safe, the robbers seize a valuable first edition from Jack’s bag, too. When the owner of the gallery doesn’t want to call the cops, Jack is offered a sizeable sum to keep silent: but when de Groot arrives at the bookshop with his heavy to renege on the deal, all bets are off. 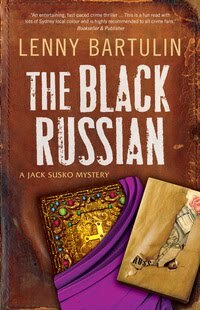 With an ease that almost constitutes a gift, Jack Susko finds himself at the centre of a world full of duplicity, lies and art theft. Young detective Nicholas Troy is basically a good man, for whom working in homicide is the highest form of police work. 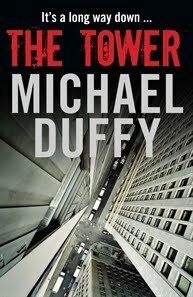 But when a woman falls from the construction site for the world’s tallest skyscraper, the tortured course of the murder investigation that follows threatens his vocation. Hampered by politicised managers and incompetent colleagues, Troy fights his way through worlds of wealth and poverty, people-smuggling and prostitution. He has always seen Sydney as a city of sharks, a place where predators lurk beneath the glittering surface. Now he uncovers networks of crime and corruption that pollute the city, reaching into the police force itself. Finally, the shadowy predator Troy has been chasing turns and comes for him, putting his family at risk. Forced to defend himself with actions he would never have considered before, Troy confronts a moral abyss. He realises it’s a long way down. Not a bad haul for the first six weeks of the year if I do say so myself. It’s just a pity I didn’t buy extra hours in my day to read them all but I’ll find the time eventually. Have you acquired any interesting Australian crime fiction this year? Or is there something you’re very keen to get your hands on? Is there something else new (or new-ish) out that I should be keeping an eye out for? 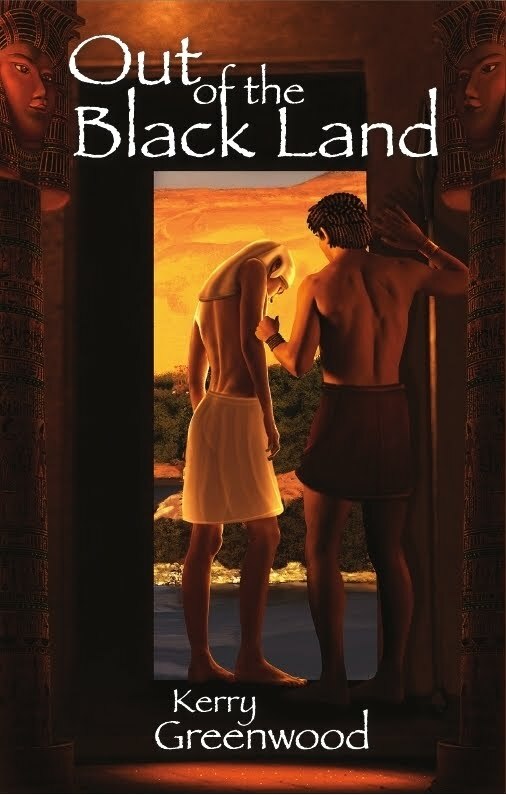 I’m not sure that this would normally be considered crime fiction but it was shortlisted in the best first novel category for the 2010 Ned Kelly Awards so I guess that qualifies it for this site. If you ignore the fact that we (literally) lost one of our serving Prime Ministers in the 1960′s, relative to most countries in the world Australia’s political history is uneventful. We’ve had no civil wars, no major coups, our lone armed rebellion lasted a single day and for most of the 223 years of our political history you’d have had to look awfully hard to find more than six people holding anything approaching radical political beliefs. It is little wonder then that when a genuine political upheaval does occur it receives an enormous amount of attention. What is known colloquially as ‘the Petrov Affair’ is one of these events. Taking place in 1954 it involved the defection of a senior official from the Russian Embassy in Canberra and his wife who had both also been operating as spies. This sparked the Royal Commission on Espionage which in turn led to the severing of diplomatic relations between Australia and Russia until the end of the decade. In Document Z Andrew Croome has provided a fictional account of these events from the point of view of the primary ‘players’: Vladimir Petrov, his wife Evdokia and the Polish/Australian spy who orchestrated Petrov’s defection. Croome says that using fiction allowed him to put his characters in every-day scenarios in a way that factual historians cannot For me, someone who has never been able to take the subject of spying seriously due to an early and prolonged exposure to Get Smart, I found this particularly effective as it showed that the art of spying is subject to the routines, mistakes, ordinariness and petty rivalries familiar to any workplace. The story that Croome tells is personal rather than political. Vladimir is depicted as a womaniser, a petty thief and fairly unsuccessful spy. His decision to defect has a lot less to do with any deeply held beliefs than it does vested personal interest. His betrayal of his wife is in keeping with that character. Defecting alone, without telling her what he was up to, put Evdokia in an impossible situation because she had family in Russia whose safety she was worried for. Her story is just sad. Having lost her first husband to a Russian gulag she marries Vladimir more out of necessity than anything else. She appears to spend her entire life dealing with the real or imagined death of loved ones and, though she is stoic, it is quite heart breaking to read. I have never been much engaged by the study of history as a series of dates and events to be remembered. In this confidently written novel Croome has provided the kind of history that is intriguing even if it is not entirely true (though the factual basis for his imaginings is evident). He shows us a reality that might very well have been. One in which there were innate problems in maintaining strong Marxist principles while living in a place that demonstrates daily that capitalism has its advantages and one in which people’s fears and worries don’t always (often?) lead them to do the laudable thing. As someone who has plowed through a considerable amount of the non-fiction available on this subject I found this fictional account offered the much-needed human element that is missing from so much historical writing. You can hear a 15-minute discussion with Andrew about the book on our national radio network’s Book Show here. He talks, among other things, about making use of the extensive documentary archive as well as ignoring it when it did not suit his narrative needs. Document Z has won many awards including the 2008 Vogel Award (for best debut fiction by an Australian awarded by The Australian newspaper) and was shortlisted in the best first fiction category at the 2010 Ned Kelly Awards.